Guide to UK Student Visa Application for Malaysians! Hi Guys! It has been a really long while since I’ve blogged about something useful! So I am constructing an easy to understand guide to applying for a UK Student Visa (Tier 4) for Malaysians. This type of visa applies to all new incoming students studying in the UK for more than 6 months, which includes students applying for their masters course (which is my case). I am blogging about this because I get really paranoid at systems like this and would try to refer to as many articles or blogs about experiences on the Visa process. So I thought of doing my own version to add on to many others out there! 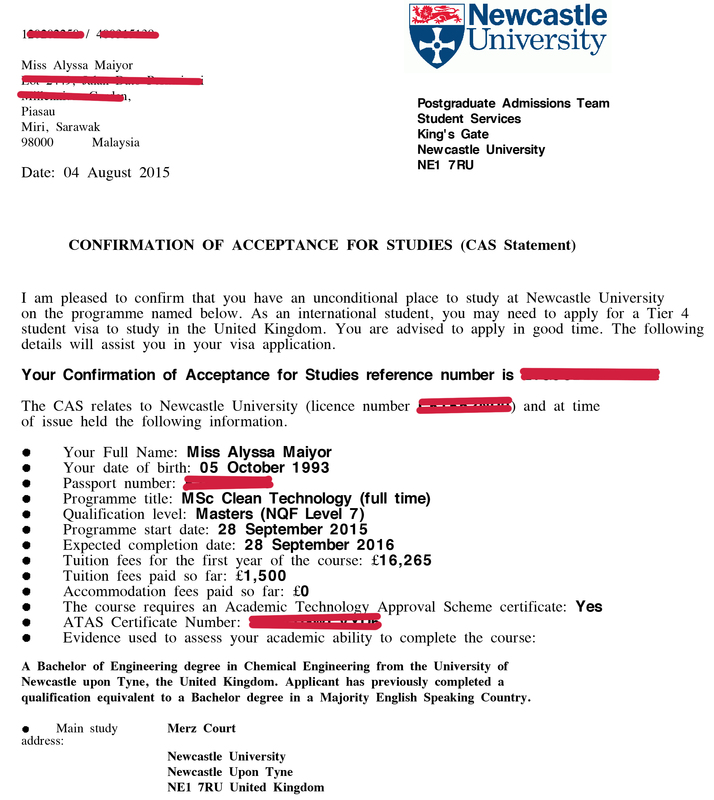 So, for my situation, I just graduated with a degree in July 2015, and aiming to apply for my visa to start my Masters degree in UK in the coming Sept 2015 batch. 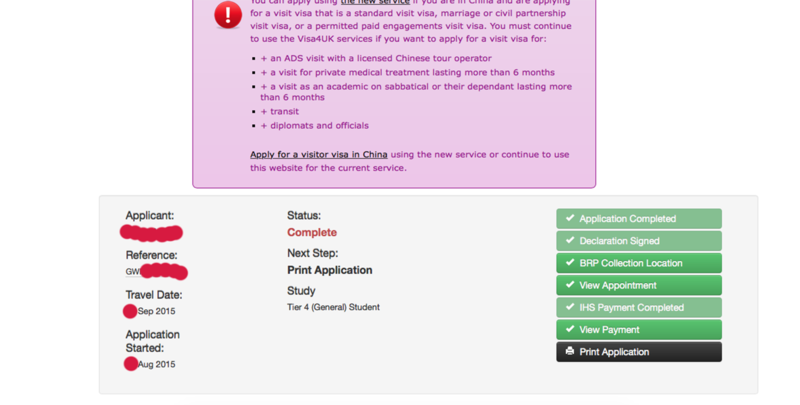 So in between that time, I was required to apply for a UK PBS (Point Based System) Student Tier 4 Visa. So first things first, How do you start your Visa application? This is where you complete your application online, (this replaces the Appendix 8 in the past), Make sure you answer all the questions as truthfully as you can, this will help in your process. So you register for an account, complete the application, then you would be directed to the payment page. The Visa application would not be completed until you have made your payment. Book an Appointment. The system will let you book up to 1 month in advance, no more than that. Plus, you would need to book at least 48 hours in advance. You are also able to change your booking anytime before 48 hours of your initial booking date. Like me, I changed my booking details at least 5 times, which is fine! 3. Sarawak & Sabah submission (RM 366) – Basically its a Temporary Enrolment Location (TEL) service which allows applicants to submit their UK visa application and biometric data using the facilities in Sabah and Sarawak. The fee covers the courier shipments back to your preferred mailing address. However, this service is only available during busy period in the summer. **Please note that this TEL service are only available on specific dates and appointment has to be booked. You would need a proper checklist of things you need to prepare for your application. 2. TB Certificate – You must be tested for TB if you want to come to the UK for more than 6 months and are from Malaysia. However, if you are coming back to the UK and have not left UK for more than 3 months, you will not be required to. If you are unsure (which was me at the time), Just do it anyway. Your test must be from a clinic apporved by the Home Office. They will not accept a TB test certificate from a clinic that has not been approved. OH! When you are done with the cert, the UK visa application requires you to have a photocopy version as well. But you can always do that at the application centre. This differs from university to university because your entry requirements may be different. All you have to do is to compile the original and photocopies of documents as listed in your CAS for submission. If not, the documents are not necessary. In my CAS letter they only needed my Results Transcript from my degree (undergraduate) and they have already stated that I have done my degree in an “English Speaking Country” so my IELTS from 3 years ago wouldn’t be required. Prepare the original copies to be submitted along with your Visa Application. Sometimes, the CAS letter would state how much you have already paid to the school, like a deposit. So for the financials, you would not have to consider that amount but state the balance. Self explanatory. If you have old passports that you have already returned to the offices when replacing the new one, Just state it in the online application form. Don’t worry if you don’t have the old passport with you. This consists of a bank letter/reference that states your name, account number, amount in the bank, date of letter, and a statement that states that the money has been in the account for more than 28 days. Ditto – Not more than 1 month preferably and make sure that the size is within the regulation size with a white background and clear face. Mostly only Science Master and above degrees (MEng/MSc) would require this certificate. Advice is to apply for this as soon as you have confirmed your acceptance of your Uni. This may take 1 month or more to receive this certificate. So do it ASAP, because most University would only release your CAS AFTER you get your ATAS, which will give you less time to do your visa!! ASAP ASAP.